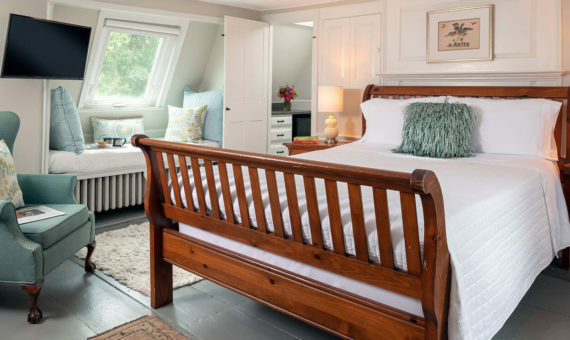 If you are looking for the best places to stay in Kennebunkport, Maine, look no further. 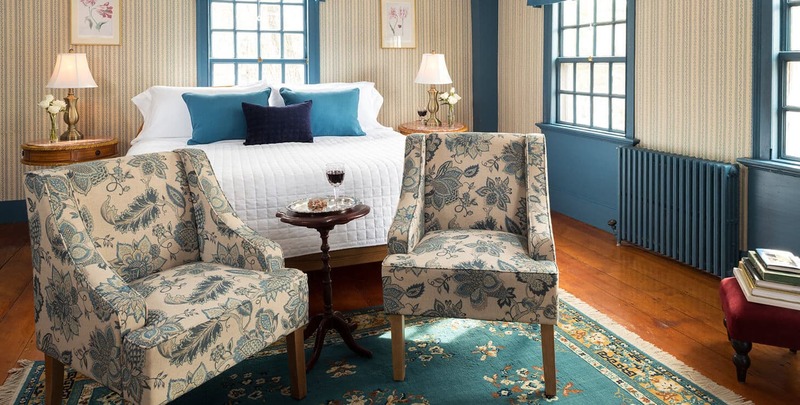 Accented with a rich colonial blue, this handsome second floor room at our Kennebunkport bed and breakfast was the former master bedroom. It is our largest guest room and features a tub / shower combination in the bath. The rich wood floor is made of wide Heartpine boards (sometimes called The King’s Pine) original to the house. This stately room is named after a ship built during the shipbuilding days in Kennebunkport. The ship’s nameplate was discovered in the kitchen of the Inn. Book a 3+ nights 31 days or more in advance and receive 30% off our Best Available Rate.